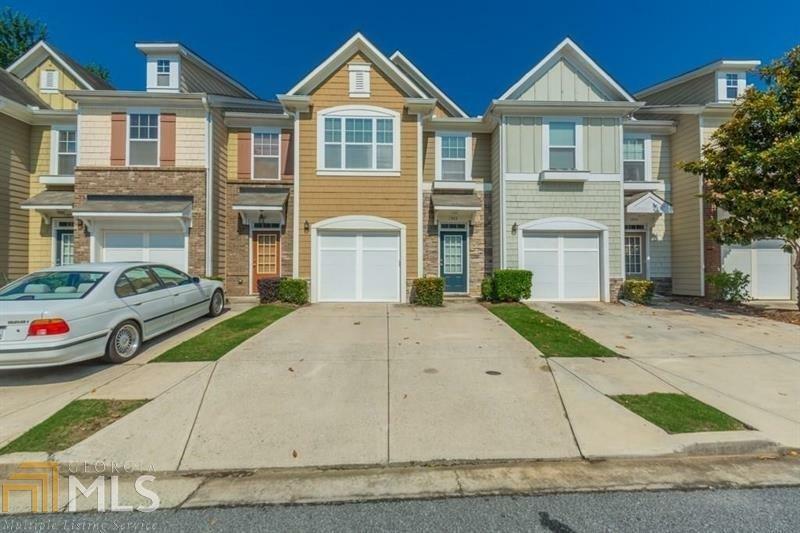 Beautiful move in ready townhome close to all Kennesaw has to offer! 2 bedrooms & 2.5 baths, with welcoming foyer opened to familyroom with cozy fireplace. Spacious kitchen opens to dining room overlooking the backyard. Engineered hardwood floors on main level. Great roommate floor plan which includes 2 master bedrooms, each with its own closets, & baths. Rear patio overlooks large green space. HOA covers water, sewer, termite treatment, trash pickup, lawn care, fitness, & pool.